I've been sent a few things in boxes recently that I wanted to tell about.... bear with me, they're more exciting than they sound! First up, a box of chocolates. Not just any chocolates though. 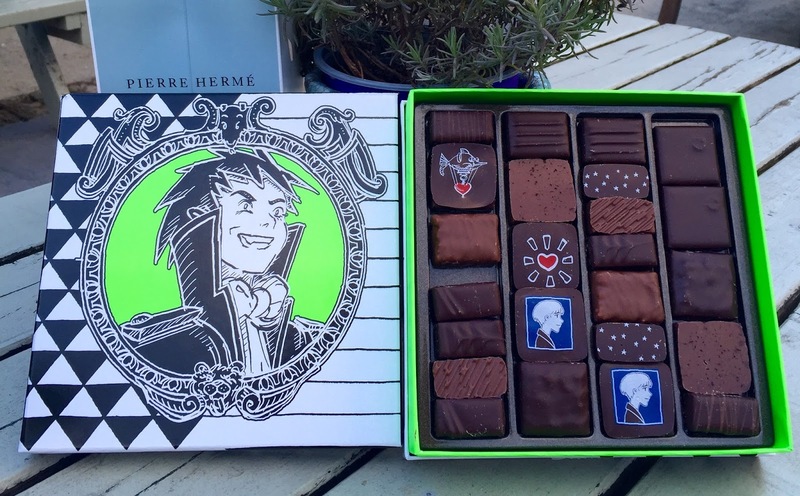 These delicious chocolates from Pierre Hermé are part of a recent collaboration with the renowned French artist, Nicolas Buffe, who has created two imaginary characters from the kingdoms of the sun and the moon, and the story between them. The Pierre Hermé Paris chocolate boxes invite you to discover perfect chocolate bonbons, which have just the right contrast between their crisp coating and the soft ganache centre. There are five different boxes with unique characters, each of which reveals one of Pierre Hermé Paris signature flavours - Paineiras (pure origin Brazilian dark chocolate ganache enrobed in dark chocolate) takes the form of Helios; Infiniment Vanille (chocolate and vanilla ganache in dark chocolate) becomes Roxane; and under the Heart is the iconic Ispahan (chocolate and raspberry ganache, rose and litchi fruit paste and dark chocolate). The boxes start at around £24 and are not only beautiful but also packed full of delicious chocolates. The second box is something quite different. Cheerz got in touch to see if I'd like to try out their photo boxes. They're such fun, great gifts and the whole process/app is really easy to use. 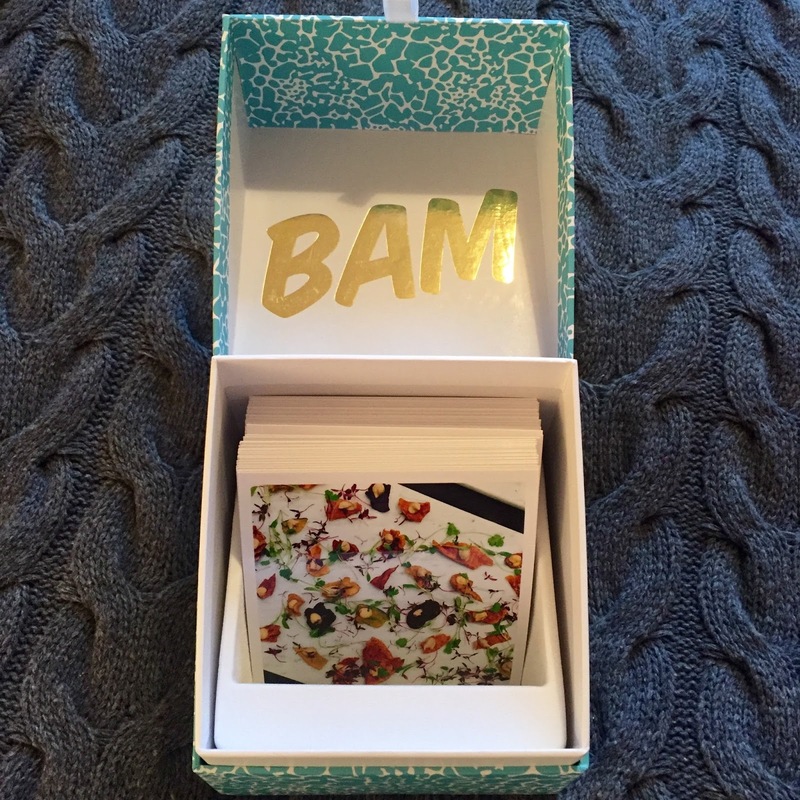 You download the app (or go on to their website) then choose images off your phone, computer or social media channels, pick how you'd like them - I got a big box, and some "invites" with my social media handles printed on the back, then your order is delivered to you within days! Such a great pressie for new families, foodies, or anyone who likes a good picture. And if you want to order some yourself,, or others, use code ROSI29 for £4 off your first order. The third and final box was one from Craved. Craved are a relatively new company, who I've worked with in the past when sourcing London produced food goods. They champion all things London made, and you can order things like cheese, chocolate, booze, teas, coffee, condiments, honey and lots more from their site. They work with lots of small, local producers and have some really great quality goodies. In my box I got Newton and Pott pickled cucumber, smoked chilli sambal from The Modern Pantry and some cinnamon walnut brittle from Spun Candy. Well, is so nice when someone is sending a small gift. I love surprises too. Now I am thinking about that chocolate box. It's so nice to receive something pretty/yummy in the post!